I went over to Japan in December as a member of the team of International Advisors supporting the International Research Institute for Nuclear Decommissioning (IRID). This team meets every 6 months to hear progress, discuss ongoing challenges and provide advice in relation to managing research and development (R&D). It’s also a good opportunity to look at possible areas for collaboration for NDA. I really appreciated all the support from the INS office in Japan (INSJ) who helped me understand the Japanese business context and what to expect. One topic on the agenda at the meeting was the application of a gated process for the development of technologies. We followed this discussion with a site visit to see the challenges that the technologies will have to address. 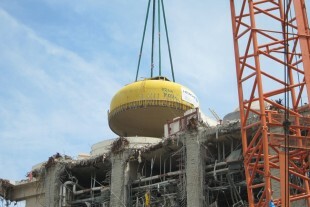 The upper lid is removed from Unit 4 at Fukushima Dai-ichi. There is a lot of visible progress. It was really valuable to understand the technical approaches and identify areas where the UK might be able to contribute and also learn. It’s reassuring to both countries to compare R&D decommissioning strategies and see that it is effective and successful to focus the bulk of investment on support for site-level research, with a smaller budget for generic multi-site projects. I was also impressed by the Japanese willingness to put relatively new robotic technologies to the test which demonstrates a real commitment to move the mission forward. Deploying the technology also helps to reinforce to the public that some of the most difficult challenges are being dealt with. I joined my international colleagues touring the site and visited the undamaged reactors, fully suited up in protective clothing. The heat, even in December, was stifling and I appreciate how challenging it must be to work in those conditions during the summer months. Evidence of the accident remains a feature in the surrounding countryside. Radiation counters are positioned alongside the region’s motorway network to monitor the atmosphere. There is visible progress of land clean-up in the areas surrounding the site. A service centre in nearby Okuma town delivers hot meals to the site, made from local ingredients and prepared using locally manufactured kitchen equipment. This service centre provides a boost for the economy. 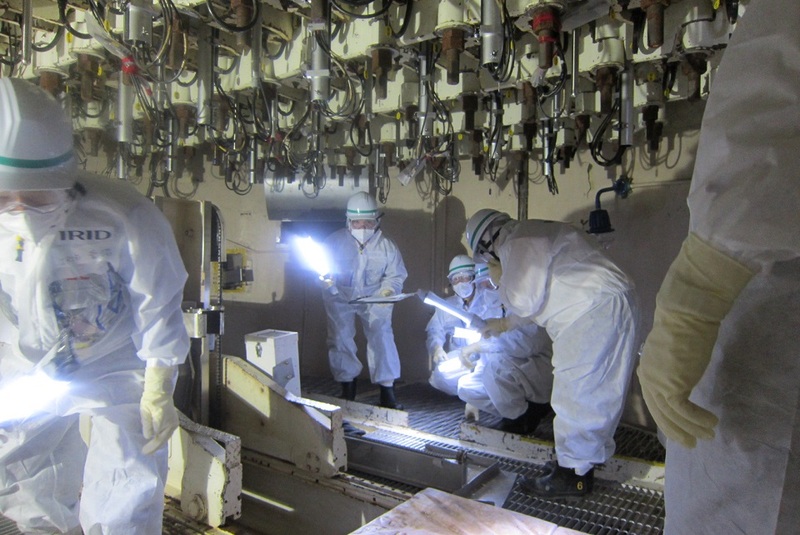 The visitors are shown around one of the undamaged reactors. I received such a warm welcome and wanted to be able to share UK decommissioning expertise and offer our support. UK technology companies are making a valuable contribution, including a number who have received funding from the NDA or its funding partners to develop innovative technologies. I was really pleased to see that financial support from the NDA’s R&D budget is assisting businesses to develop their technologies not just for the UK market but also to deploy overseas. Their deployment in Japan provides valuable understanding to further develop the technology which brings benefits back to the UK as well. So proud of our guys, our experts. Hope it continues .the future is nuclear.